Calling Lake Christmas 2017 – Don’t Miss It! 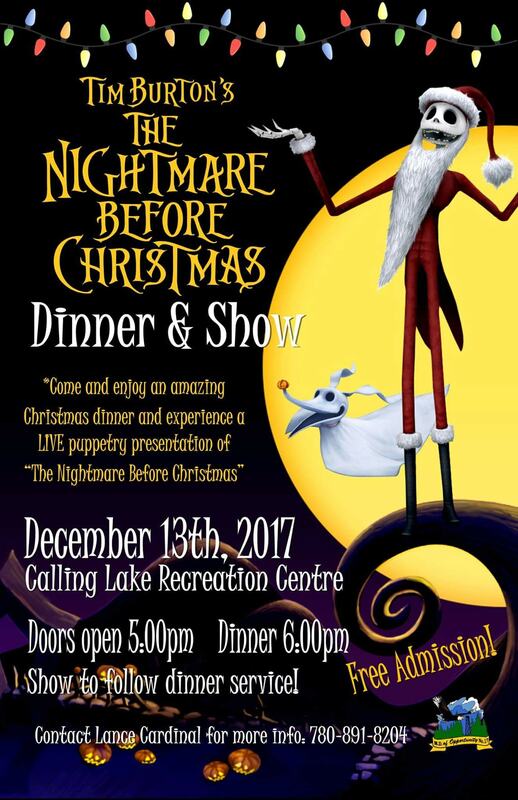 If you’re in the area, be sure not to miss this year’s Christmas Dinner and Show at Calling Lake. If you learn only one Cree word before you go, make sure it’s mâmaskâc! (Congratulations, Lance and crew: I’m sure you’ll knock their socks off!) Contact Lance for more information at 780-891-8204, or check the FaceBook Calling Lake Community Event Page. This entry was posted in Christmas, Community News, Events. Bookmark the permalink.